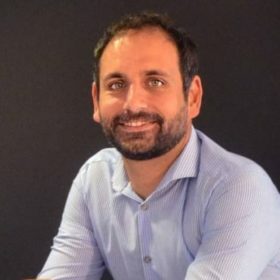 Emilio Galán is the cofounder and CTO of BEONPRICE. He’s responsible for the company’s development and innovation. Emilio is a techie who grew up always wanting to start his own company. Emilio’s parents—his dad a taxi driver and his mom a hairdresser—instilled in Emilio a strong work ethic and entrepreneurial spirit. But Emilio had his sights set on building a company that would go global. In order to learn as much as he could and equip himself with the business skills to launch his own venture, Emilio decided to gain business experience in different companies. After studying computer engineering and earning his MBA, Emilio joined companies large and small, eventually landing at GPM where he became a Business Manager and managed a team of 70. Emilio is passionate about identifying opportunities, developing strategies, building teams and continuous innovation. BEONPRICE is the most complete and effective solution of Revenue Management. Based on the most up-to-date Big Data technology on the market, it facilitates and optimizes the most accurate pricing management decisions in the hotel industry. With more than 3 years in the tourist and hotel market and more than 1,500 clients in more than 30 countries, BEONPRICE is the first RMS based on Big Data technology that includes the quality of your establishment and takes into account the different customer segments as criteria Fundamental to determine the optimal price for room types, markets and nights of stay to maximize revenue.